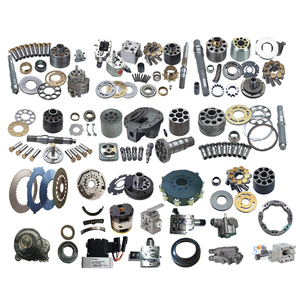 5 YRS Ningbo High-Tech Zone Tosion International Trade Co., Ltd.
8 YRS Shandong Senxin Trade Co., Ltd.
Sumitomo Hydraulic Main Pump Spare Parts PSV2-55T Piston Pump Parts PC40-5 PC45 PC55 PC56 PC100-3-5-6 PC110-7 PC120-3-5-6 PC130-7 PC200-1-2-3-5-6-7-8 PC210 PC220-1-2-3-5-6-7-8 PC270-7 PC400-3-5-6-8 PC450-6 PC600-6-8 PC650 EX40-3-5-1 EX60-2-5 ZAX60-5 EX120-1-2-3 EX200-1-2-3-5-6 EX220-1-2-3-5 EX225 EX230 EX135 ZAX240 EX330 EX300-3-5 ZAX270-3-1 EX800 UH07-7 ZAX330-3 ZAX210 ZAX360 ZAX360-3G ZAX870 SK07-N1 SK07-N2 SK09 SK60-1-5 SK220-3-5 SK230 SK230-6 SK230-6E SK300-2 SK330-8 SK350-6E SK350-8 Detailed Images Packing & Shipment 1 wooden case packing 2 carton case packing 3 pallet Shipment: By air , by sea , by express Related Products 91.6% Response Rate 94.8% Response Rate 89.5% Response Rate Our Company With advanced production, testing equipment and excellent manufacturing process, our factory was established in 1988,which produces and sells all kinds of construction machinery equipment, specialized in the production and exportation of reduction gearbox and accessories. 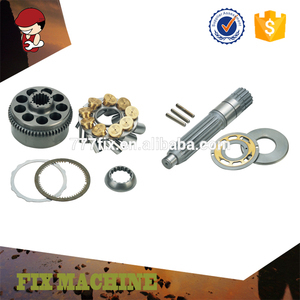 Which matches all kind of excavators, totaling more than 6,000 of varieties with the capacity of 50,000 sets reduction gear and its accessories annually. 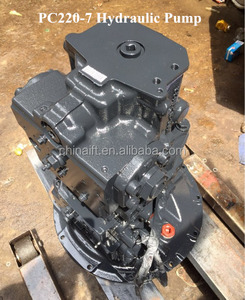 *Excavator spare parts in full-scale are available; *100% quality assurance, develop and manufacture follow original ones; *Quick response within 24 hours ; *Small order allowed; *Reasonable Price and timely delivery; *Original packing, neutral packing or customized packing; *Positive customer feedback from abroad market; *Excellent After-sales service . 1 YRS Changzhou Hudson Machinery Import And Export Co., Ltd.
Toassure the high qulity,YBD introduces the international advanced technology to imports the main raw material from Europe. 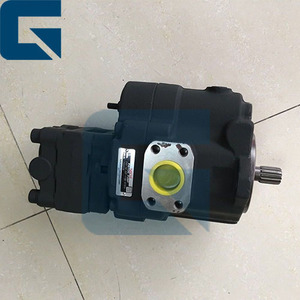 YBD is established in manufacturing the piston pump and motor for construciton travel machinery, concrete machinery and hoisting machinery. &gt;Self-improvement We will always remain active and positive to be self-improvement with great effort. 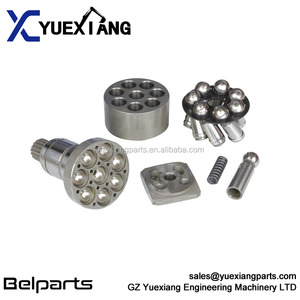 1 YRS Guangzhou Otto Engineering Machinery Equipment Co., Ltd.
6 YRS Jining Shanshi Construction Machinery Co., Ltd.
Alibaba.com offers 20,301 hydraulic piston pump parts products. About 56% of these are pumps, 22% are construction machinery parts, and 1% are cast & forged. 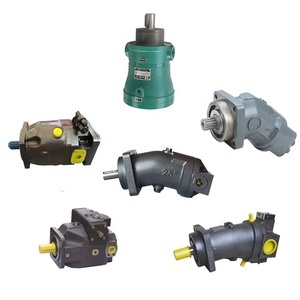 A wide variety of hydraulic piston pump parts options are available to you, such as free samples, paid samples. 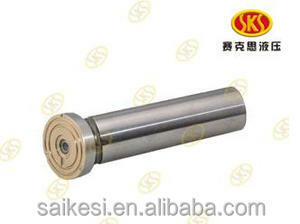 There are 20,301 hydraulic piston pump parts suppliers, mainly located in Asia. 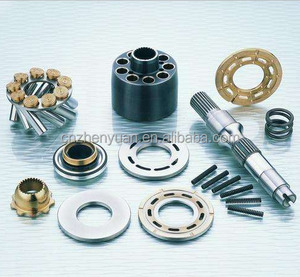 The top supplying country is China (Mainland), which supply 100% of hydraulic piston pump parts respectively. 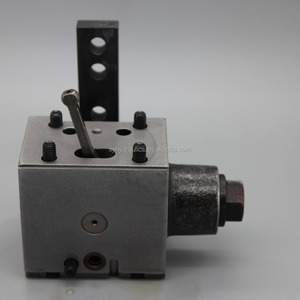 Hydraulic piston pump parts products are most popular in North America, Mid East, and Africa. You can ensure product safety by selecting from certified suppliers, including 5,764 with ISO9001, 1,459 with Other, and 159 with ISO14001 certification.